I suffer from dry everything – dry hair, dry skin, dry lips! It definitely doesn’t help that I call the dry city of Joburg home. I feel like I’m always looking for the holy grail of products to keep myself moisturised. In winter, my skin starts cracking almost immediately after I dry myself post-shower, so I can only imagine the damage Kai’s skin would go through without proper moisturisation. As a new mom, you’re constantly questioning yourself and wondering if you’re doing the right thing, in the right way. Bath time can be one of those nerve wrecking situations, so I wanted to share how I’m currently keeping his delicate skin moisturised and baby soft this winter. We all know that babies’ skin is so much more delicate than ours, but maybe not all of the reasons why this is. Many of us mommies don’t realise just how dry our little one’s skin is, and we need to up the moisture even more than we thought. I’ve recently learned some important information about baby’s skin and how much extra care we need to give it. Having healthy skin is integral to your baby’s overall health. It’s the first barrier of defence against germs, illnesses, infections and well, the world. In the first two years of your baby’s life, it’s especially important to give his skin TLC, as it’s still developing and is about 30% thinner than ours. It’s more permeable and absorbs more substances and does so quicker than our skin, which also makes it more prone to moisture loss. In fact, babies lose five times more moisture than we do as adults. A baby’s skin also produces less natural oils, and so needs extra attention during and after a bath. I’ve been using Johnson’s on my face for the last 15 years. It’s proven to be gentle and effective on my skin. It’s a brand that’s been trusted by my mama and fellow mommies for over 120 years. So when I had Kai, it made so much sense for it to be my first choice for baby toiletries. Over the months, we’ve changed a few things around to meet his growing needs, but we’ve stuck to Johnson’s Top to Toe Wash since we began using it about three months in. With it being winter, I’ve swapped Kai’s after bath moisturiser from coconut oil to another product from the Top to Toe range, to give him a thicker moisturising sealant. I’ve been following Johnson’s 2 step routine for Kai’s bath time. We bathed Kai a few times a week when he was a newborn. Their skin is extra delicate at that point and they’re not sweating or messing themselves with food and dirt like they would in a few months time. I started to bath him every day when he was about four months old. I knew that I needed to use a wash that was gentle on his delicate skin and was always careful to check how he reacted to anything new. 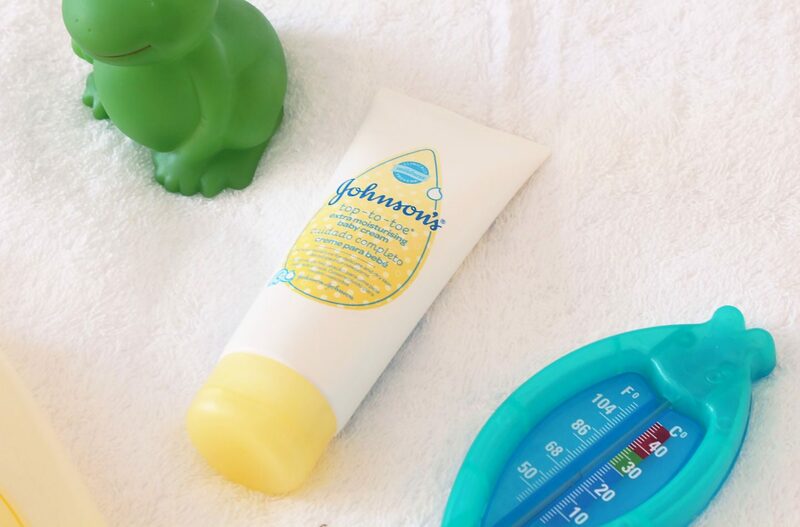 Our bath time staple is the Johnson’s Baby Top to Toe Wash. I love that it’s a massive bottle (500ml) that has a pump dispenser making it easy for me to use while having a hand free to hold my boy. It’s a hypoallergenic wash that gently cleans his little body and has a no tears formula, which I’m especially thankful for at the moment, as he can’t stop wriggling around in the bath. I also use it to wash his hair so it’s been a great all in one for his first year. Even though I began using it when Kai was about three months old, the formula is gentle enough to be used on newborns from day one. After his bath, I pat him down with a hooded towel, making sure I leave just a touch of water on his skin before I apply the Top to Toe Extra Moisturising Baby Cream. I love this cream for winter, as it’s thick but easy to rub onto his skin and a little goes a long way. He’s usually quite antsy at this point of his night time routine, so I love using this as it helps me to quickly replenish the moisture. I find that drying him 100% after his bath completely removes the moisture from his skin. Using the cream on top of a bit of damp skin locks that moisture in. As with us, it’s even more important to do right after a bath. Because it’s so cold, I make sure to have pre-heated his room before running his bath so it’s nice and warm when we’re done and ready to moisturise. A quick, soft massage (and some kisses and cuddles) always goes down well as I apply his cream. 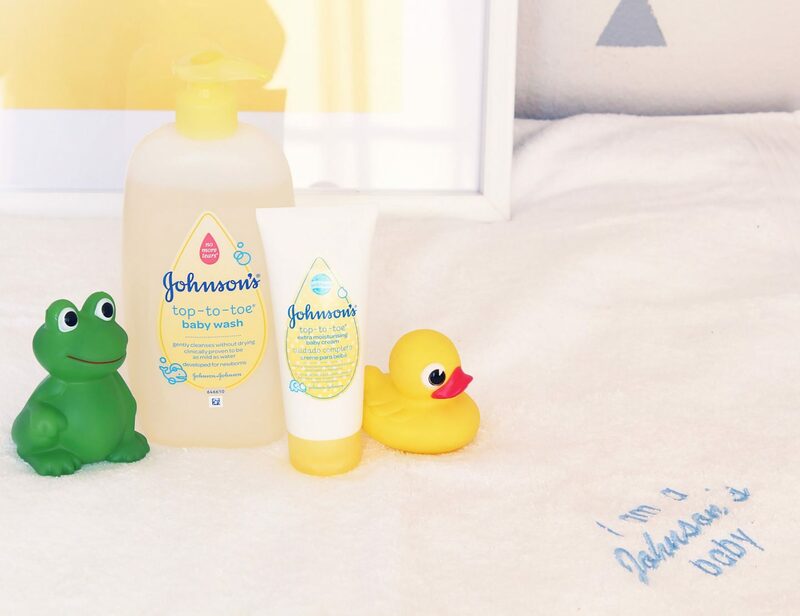 Now that I’ve shared my steps to keeping my boy’s skin healthy this winter, you can do the same with your little one and a hamper of Johnson’s Baby goodies. You can win the entire Johnson’s Baby Top to Toe range, including my two fave products mentioned above. In the comments box below, name one reason why babies’ skin needs more TLC. **Giveaway is now closed. Congratulations Jade Mowat! Please respond to my email with your delivery details. Baby’s skin is thinner and more delicate than adults and need more moisturizing because it tends to become dry more easily. It’s especially important to give the skin tlc as it’s still developing and is about .30% thinner than ours. baby’s skin also produces less natural oils, and so needs extra attention during and after a bath. Having healthy skin is integral to our baby’s overall health. It’s the first barrier of defence against germs, illnesses, infections and well, the world. To have a happy baby have healthy products johston products has alway done its way for me what you hear about the product is what you get most of their products is natural and thtas all you need for a baby to have natural oils applied to their skin. Babas skin is 30% thinner than an adults skin so it needs much more TLC. Baby skin is more fragile than adult skin. It reacts more sensitively to external aggressors and needs extra special care and protection. Baby skin is 30% thinner form ours that why baby skin needs more TLC. This i never knew…until i read your blog. Baby Skin needs more TLC because it 30% Thinner thn adults Skin😉😉. I am a first time mommy and super nervous about this journey i am about to embark on but i am really excited at the same time. It will be a good win to motivate me into being a good mother. A baby’s skin is 30% thinner than an adult skin. It also produces less sebum for nourishment. Baby’s skin is very sensitive and needs more TLC as they produce less natal oils and are prone to quick drying skin as their skin is 30% thinner than adults. A baby skin also produce less natural oils, and so needs extra attention during and after bath. A baby’s skin is much thinner and more sensitive. It also doesn’t have as much oils. In the first two years babies skin is 30% thinner as compared to adults skin. In general, baby’s skin doesn’t need much specialized care…just a lot of TLC. A baby skin is 30% thinner than ours. A baby’s skin needs TLC becouse It’s still developing and is 30% thinner than ours. A baby’s skin produces less natural oils, and so needs extra attention during and after a bath. Babies lose five times more moisture than Adults do. babies lose five times more moisture than we do as adults. Baby skin is 30 percent thinner than ours and their skins produce less mositure and oils than ours also! Babies skin loses 5 times more moisture than adults. Their skins are 30% more thin than ours. Being a first time mom I rely a lot on recommendations from family, friends and other moms. The information on your blog is very helpful and insightful and I would love to have a head start by winning your lovely Johnsons hamper!! The reason baby’s need more TLC on their skin is that in the first two years of your baby’s life their skin is still developing and is about 30% thinner than ours. Baby skin is 30% thinner than our skin. Their skin is still developing and is about 30% thinner than ours. Your baby’s skin needs TLC in order to effectively keep their skin moisturized ,comfortable and happy during any time of the year. A baby’s skin produces less natural oils. Baby’s skin produces less natural oils and therefore needs more care during and after bath time. Babys skin needs more TLC in its developing first two years of life, as it’s about 30% thinner than that of an adult. Because it’s still developing and it’s 30 % thinner than ours. Because it’s still developing and it’s 30% thinner than ours. A baby’s skin is 30 percent thinner than ours. So the baby’s skin needs more tlc before and after a bath. Having healthy skin is integral to a baby’s overall health. It’s the first barrier of defence against germs, illnesses, infections and well, the world. In the first two years of a baby’s life, it’s especially important to give their skin TLC, as it’s still developing and is about 30% thinner than ours. It’s more permeable and absorbs more substances and does so quicker than our skin, which also makes it more prone to moisture loss. In fact, babies lose five times more moisture than we do as adults. A baby’s skin also produces less natural oils, and so needs extra attention during and after a bath. Baby’s skin loses 5 times more moisture than us adults. 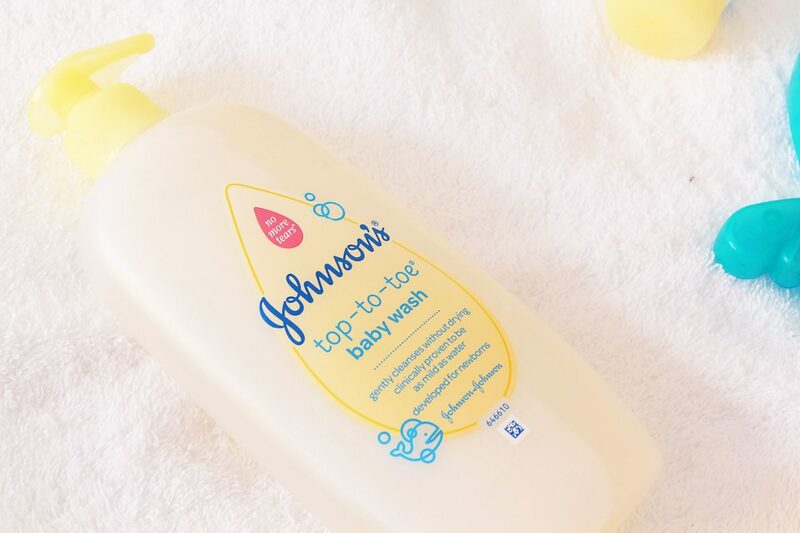 I love the Top to Toe wash, it smells great, its gentle on my little ones’ skin, as are all the other Johnsons products we use (powder, wet wipes, petroleum jelly, cream etc). With babies’ skin losing 5x more moisture than adult’s skin, it’s important to give your baby extra TLC during and after bath time. Baby skin needs more TLC because its too fragile and too soft. Babies skin is much more delicate hence it loses moisture FIVE TIMES FASTER than adult skin. Our precious babys skin is 30% thinner than adults. Babys skin should be moisturized often. 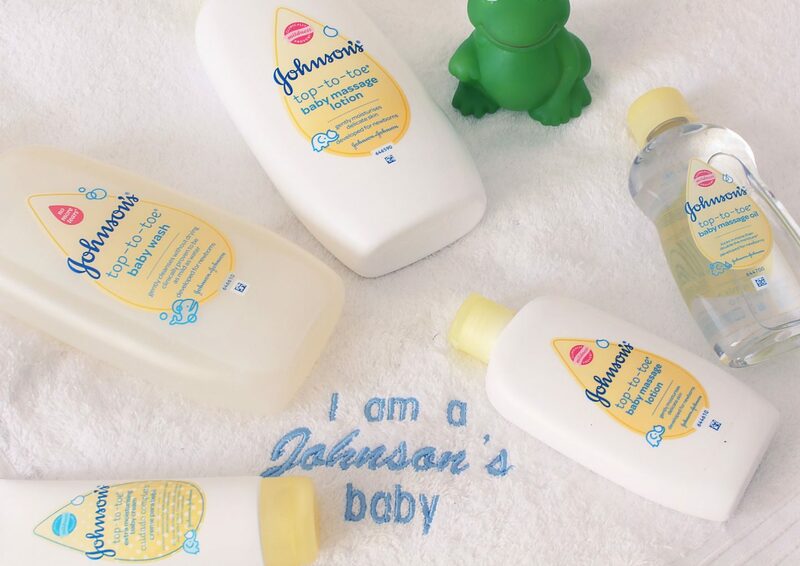 There is no better baby than a J&J smooth and soft baby. Babies lose five times more moisture than we do as adults, that’s why their skin needs more TLC. Baby’s skin is thinner and has less natural oils than ours, making it drier and lacking moisture. Because our precious angels skin is 30% thinner than us adults. Babas skin should be moisturized often. Baby loves J&J bath time. There is no better baby than a J&J Smelling baby. #P.S when week you be having another J&j5km fun run again? Baby’s skin needs more TLC because it dries fast and it’s 30% thinner than ours. Baby skin is 30%thinner than adult skin.and whrn their born their skin react easly to products so its important that a mother should use the right productbthat will not be harsh on their skin ,nor make baby develop rash. I’m having my first bundle of joy early August. I’m super excited to hold him in my arms and kiss his dimple cheeks. Why this hamper is so important to win to me is cause being a first time mom is always trial an error, the worst part is its at the babies expense. What better way to get it right by winning this hamper and having my friends look on and wonder why my son’s skin is flourishing?? Keeping then moisture locked in with the 30% thinness skin he will be born with. I would truly value it reading your blog being a first time mom etc. Baby’s skin is 30% thinner than ours & it is prone to moisture loss. It’s more permeable and absorbs more substances and does so quicker than our skin, which also makes it more prone to moisture loss. Babies skin loose moisture 5 times more than adults.Im expecting my third child and didn’t know this.It shows u can never be over experienced in child care and u always learning esp since every child is different.It would be lovely to try the new moisturizer as I have used and love the Tip to Toe wash.Hope I win.Thanks for the review! Thank you for a interesting and informative article and review of this wonderful product which I will certainly share with my mommy friends. In the first 2 years of baby’s life, his skin is still developing and is about 30% thinner than ours and babys skin needs more TLC. Thanks for the opportunity to win perfect for a precious baby girl. Babys skin is still developing and is about 30% thinner than ours. It’s the first barrier of defence against germs, illnesses, infections and well, the world. Baby skin needs more TLC because their skin is 30 % thinner than ours. It also absorbs moisture much faster making them more risky to losing it quicker. ‘I didn’t know that until today’ thanx alot. This will really be useful for me….I am expecting my bundle of joy any moment now….and having escema in my family. Dry skin is likely to be a problem. Moisture and more moisture is very important! Your baby’s skin is about 30% thinner than those of adults. Therefore it needs lots of moisturising to help develop the skin and keep it soft. A babies skin is 30% thinner then adults and looses more moisture then ours do. Would love this. This is my first baby and she is due in two months. Baby’s skin need more TLC because not only is it thinner than adult skin but it tends to dry out much quicker too. Baby’s skin is still developing and is about 30% thinner than ours. Because their skin is 30% thinner than ours. During the first 2years of a baby’s life, its essential to give the skin more TLC as its still developing and is about 30% thinner than that of adults. Babies lose five times more moisture then us adults. Babies skin is 30%thinner than ours. Because their skin grows 3 times thinner than our skin. Babies skin needs more TLC because it is more delicate than us nd it looses up to 5% of moisture. The baby’s skin produces less natural oils. as it’s still developing and is about 30% thinner than ours. Due to the delicacy of babies skin, they lose 5 times more moisture than adults. as it’s still developing and is about 30% thinner than ours and it needs more TLC. In the first 2 years of baby’s life, his skin is still developing and is about 30% thinner than ours. Babies skin is 30% thinner than ours and still developing. Babies’ skin need more TLC because it’s 30% thinner than ours. Baby’s skin is so delicate. ..so fine and fresh. The new born skin I have found is very sensitive and needs to be treated with Love and care. As a first time mom i have a new born that is 13 days old and I’m still so new to everything. I rub J & J cream on her hands and toes to make her feel moisturised and smell nice. Bath time is another story. ..she doesn’t really like it that much but the smell of J & J baby wash is amazing and gentle on the skin. keeps her fresh. Clean and moisturised. I love J & J. My husband just loves the baby powder. It’s the first barrier of defence against germs, illnesses, infections. It’s the first barrier of defence against germs, illnesses, infections and we’ll the world. Baby’s skin is 30% thinner than ours, therefore it needs TLC. Naturally a baby’s skin loses more moisture than adults. We live in jhb and the dry air does not help my sons skin. I bath him with the top to toe wash and lotion him with johnsons baby aqueous cream with a dab of baby oil. Unlike adults, babies’ skin is very sensitive and you can not just use the same products that you use on their skin. A babies skin need TLC, as it’s still developing and is about 30% thinner than ours. Although babies skin is the first barrier of defence it is 30% thinner than our skin it needs the extra TLC. Top to toe help us moisturise babies skin. My baby needs more moisture because of the weather in JHB and also because he has skin issues. Babies skin is still developing and is 30% thinner than ours. Its every mom wish to have a clean chubby and baby aroma..A healthy clean baby simple means Less illness, germs free baby and fight infection. Our little ones need TLC because they cant do anything for themselves so a caring mom is a solution. A MOM that knows how it feels to have a healthy baby with a moisture skin and soft hair that pleases other mom and want to know her secrets. I thank Johnson baby products as it has all the products that keep our cherubs clean and ready for everythng from24 hours moisture dehydrated healthy skin to bedtime baby bath. TLC means less stress as ur baby suffer less from dry skin and nappy rush. Babies’ skin needs extra TLC because it is still developing and 30% thinner than that of adult skin. I would love to win this prize for my new bundle of joy that’s on the way I’m a big j&j fan used there products with my first 2babas and have been dying to try this new range. It is prone to moisture loss. Babies skin needs more TLC because it prone to moisture loss as it is more permeable and absorbs more substances than adult skin. Babies are born with soft and sensitive skin. To give baby a thicker moisturising sealant protection for their delicate and soft skin. Baby’s skin is very sensitive and prone to quick drying because unlike us our skin is 30% thicker than theirs.